RRTHA (Rock River Trail & Horseman Association) is a non-profit organization dedicated to family fun, horsemanship, trail rides and horse shows. 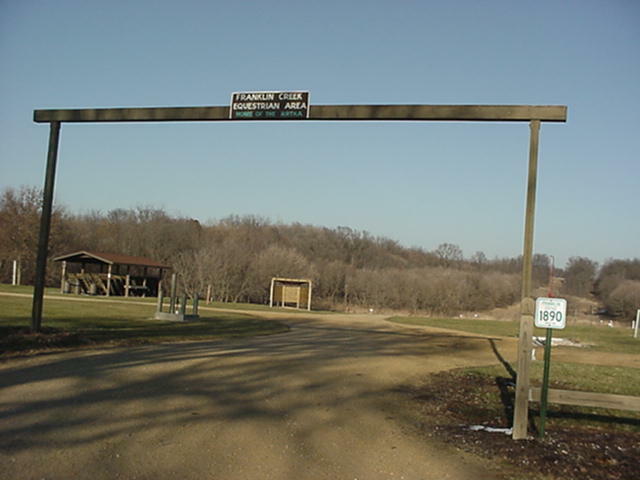 We call Franklin Creek Park (located on Twist Road west of Franklin Grove, IL) our home. Join the fun. We are FAMILY oriented, but accept both family ($20 per year) and single ($15 per year) memberships. We send a classy newsleter to each membership (almost monthly) and provide you with a ride card listing all our rides and rides sponsored by other clubs in the area. We raise money for the club by parking cars (on horses) and hold a draw down or raffle occassionally. We have 3 scheduled rides at the park each year. One includes our annual AQHA accredited horseshow and another includes a fun show. We also have an annual banquet and host trail rides at other locations (click on the RIDES PAGE) to learn when and where. Five officers and a board of directors conduct our business.